Halloween is around the corner. And while you definitely want to steer clear of the standard “fun size” junk, it’s natural to want a little something sweet. We didn’t realize how popular our Natural Calm gummies were, until they tragically went out of stock. If you haven’t tried them, these gummies are “anti stress gummies” as they contain magnesium. Magnesium is a mineral that helps chill you out and this form of magnesium helps you “go”. Both stress and exercise can deplete magnesium. Four of these cuties have 330mg of magnesium, only 15 calories and 3g of sugar. Dietary sources of magnesium are pumpkin seeds, avocado, spinach, chard, tahini and black beans. Try to have at least 1 “mag” food a day. 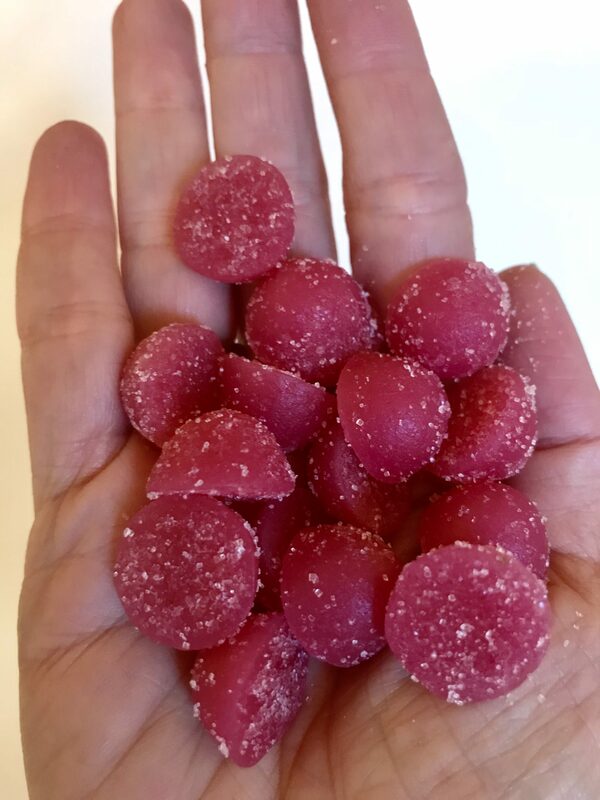 If you’re not a gummy person, other Foodtrainers’ favorite sweet treats are Barnana snacks, Siren cookie dough & birthday cake protein bites, Hu Kitchen chocolate, Good Chocolate and Lilly’s sugar free dark chocolate chips. What’re your fave healthy-ish sweet treats?